It only happens once a year! 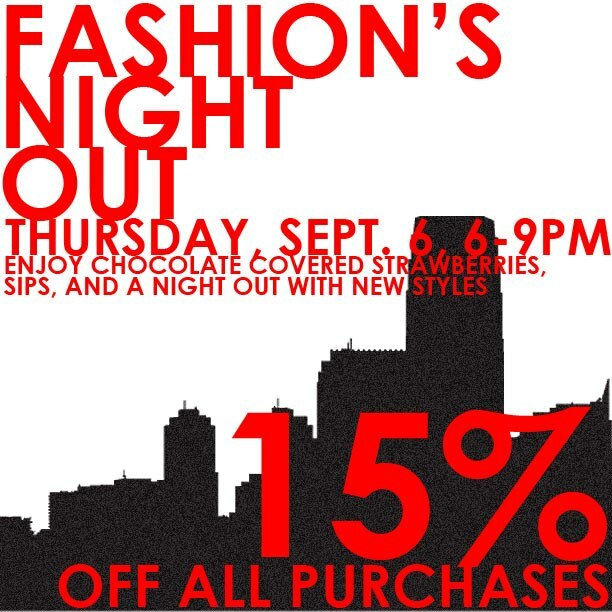 This Thursday, Elan Style joins Fashion’s Night Out for an evening of shopping and fun. The even takes place from 6-9 pm in store. There will be sips of the adult kind and chocolate covered strawberries to snack on. If that wasn’t enough, we will be offering 15% off purchases during the event. Don’t miss it!